At #3dprintshow I pulled up Instagram to take a Makie pic and it was ‘already there’ – @jaggeree had taken the same shot! Weird. Synchronous. Can’t see this email? View this online. 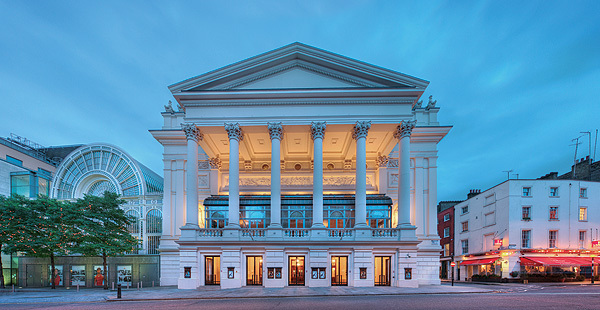 I am writing to you as someone who has booked for The Royal Opera’s Ring cycle next week. The cycle begins soon, please be aware of the different start times for the four parts of the cycle. Please be aware that Act III of Die Walküre on 18 October is being filmed by the Royal Opera House. The cameras will not impact on the audience in any way and there will be no restrictions of view other than those already stated at time of ticket purchase. Approximate performance timings: About 6 hours 30 minutes including two intervals. Please Note: If you are collecting your tickets from our Box Office, then please would you arrive at least 30 minutes before the performance to allow for this, and remember to bring the credit or debit card used for booking these tickets for clarification purposes. If you already have your tickets, then why not arrive in plenty of time to take full advantage of our bars and restaurants, which will be open at least 30 minutes before the performance. Unfortunately, latecomers will not be admitted to the auditorium until the interval. (Please note that there is no interval in Das Rheingold). We do hope you enjoy this special production of one of Wagner’s greatest masterpieces. Not as cold as last year..
alastair robertson on The final brick in the wall of the security state?